I am sad to hear this, BUT...blogging must be fun. If no fun anymore, it must be stopped. At least temporarily. I've been feeling the same way lately. Writing a book review is starting to feel like homework, and I can hardly get myself to put any words down. I need to take a break as well. I know exactly what you mean, because I've been feeling the same way. I was feeling too burdened with all the review books I had agreed to read - felt like I wasn't able to read what I wanted to read. And then writing the reviews was getting to be rather difficult, because I didn't know what to write - it was just too much. So, I decided that this year I will do it all on a whim. That's how I started my blog and how I enjoyed it, so I'm going back to basics. I'm picking books I want to read on a whim - whatever catches my fancy. And I'm writing whatever thoughts come to my head and just going with the flow - no more worrying about other people's opinions. I hope this break helps you enjoy reading and blogging more. Good luck!! I have been having the same problem as well. I have been really struggling with my reviews lately and I am cutting back on the books I agree to review. 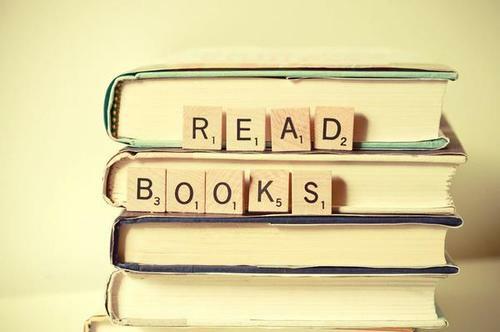 It is time to get back to the joy of reading! Blogging should definitely be fun. I didn't set out to create a book blog, I just blog what I want, which mostly ends up being books. Also, if I feel like writing an entire essay on a book, I do, but if all I have to say can be done in a handful of sentences, I do that too. I also really only do two memes and only if I have time/interested in the topic. Say whatever you want, do whatever you want, it's your blog. I too can empathize! In previous years, the lure of free books prove too hard to resist, but it's getting tiring! I look forward to seeing your reviews and thoughts, however short or long, and the books that excite you! Very sad indeed but understandable. Life gets in the way far too often and then it's a ton of pressure to read and review... even if it is for fun. Looking forward to keeping up with what you're reading and so forth. I always love your reviews and am sure I will even if they're only a couple of sentences! Hope life is treating you well! Sad to hear this BUT you gotta do what you gotta do. And once this starts being work, a break is necessary. I wish you well, and look forward to whatever thoughts (in whichever form) you choose to offer. I hope you have a very enjoyable reading year. I hate writing full on reviews, so I do a quick blurb on my monthly reads. Good luck. This kind of blogging fatigue happened to me too and I even felt guilty about not writing reviews after I had read a book! Then I decided that blogging should be fun and not forced so took a break, then came back, posted less often and am enjoying it again. I do hope this happens for you too. Good Luck! Blogging and reading have to be FUN. Or they both *should* be anyway. Take some time to decide what you want to do :) I wish you the best and hope you don't disappear completely. Yay, Brenna! I've only been blogging for two years, and I just had to take a three/four-month break from blogging, too. I just wanted to read. I feel like I'm back in the swing of things now, but I'm pretty sure I'm going to be much more laid back about it, too. If you read my own latest post, you'll know I completely understand how you feel. I haven't posted a review in ages. Will we all experience blogger's fatigue and go back to reading solely for pleasure? Who knows. Whatever the case, take the time you need. And enjoy! I think this is a brave thing to do. It's hard to feel secure in doing once you have all your readers and friends and also free books coming in. I fear being forgotten, falling out of the loop, losing everything I worked hard for. Yet the thought of just being able to read, without worrying about what to write, without feeling guilt, and at whatever pace I want, is bliss. I can't give up BB entirely, either. Whatever you decide, I understand. And it's okay. Just seconding the commenters above that I will be sad not to see your reviews, but if it has stopped being enjoyable, then you have to do what is best for you! With all the many things that pull on our time, the last thing we need to do is assign ourselves unnecessary chores. I'm right there with you, needing to re-examine exactly what I'm doing. It needs to be a good, filling, worthwhile venture. I do enjoy connecting with other readers and discussing literature, and I do like how writing down my thoughts about a book make me think it through a bit more, so that's my starting point. I relate, as it sounds like many do. I have 5-10 books I've finished and not written a thing about, not because I didn't enjoy them, but because I just haven't felt like it. My posting frequency has definitely dwindled. I also don't make my way around the book blogs as often as I used to, which leaves me feeling guilty, but I'd rather be reading than commenting lately. I'm slowly getting back into the groove of it, though who knows how long that will last. And I certainly hope you don't disappear completely!